First cab off the rank will be the termination of the ‘Pooper’ experiment and the long overdue appointment of David Pocock as captain, with Will Genia his deputy. If Pocock’s off the field, Genia takes over with Adam Coleman his deputy, and if both Pocock and Genia are absent, Coleman to captain with Samu Kerevi 2IC. Next will be the decision that only form players will be selected in their rightful positions at all times, and to end forwards swanning among the backs. Adam Ashley-Cooper, Nick Phipps and Tolu Latu will be thanked for their service, ending their international careers. The big one is to come up with a list of contenders as the 30-man squad for the upcoming Rugby World Cup in Japan. 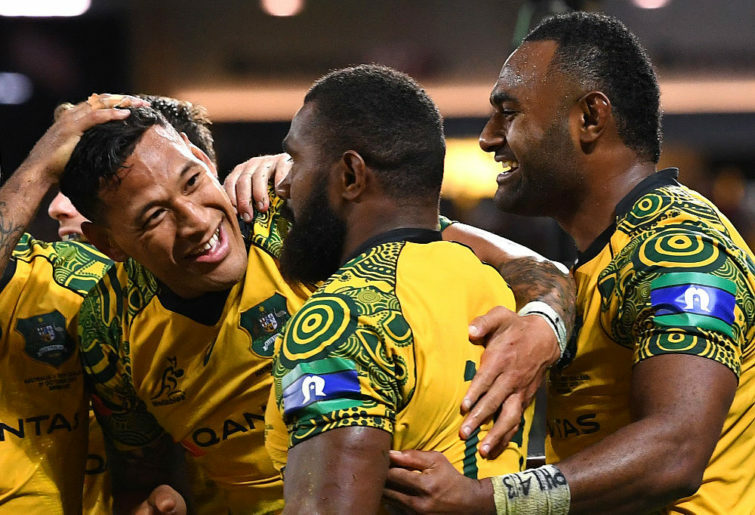 The tallest timbers ever in a Wallaby pack, with Arnold at 208 cms, Coleman at 204, Jones at 196 and Naisarani at 195 – that’s a lot of manpower to create havoc. There’s also powerhouse attack and defence in the centres. Michael Cheika, Scott Johnson and Michael O’Connor will then go their separate ways, with the coach thoroughly enjoying the experience. In just one day, they could collectively do Australian rugby a massive favour by putting the Wallabies back on the international map with so many positive decisions.